For years, the accepted method of pond management was to wait for a problem, like an algae bloom or excessive aquatic weed growth and then "react to it" with a chemical application. Although this is effective at providing a quick fix, it does not address the actual problem. 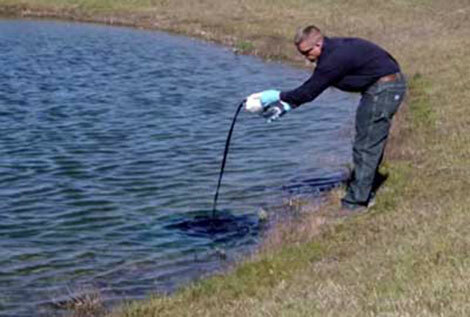 In many cases, this reactive approach is catching up with pond owners. Those that have been practicing this form of management are finding it more and more difficult to control unwanted weeds and algae. Chemicals are a great tool but not the complete toolbox. 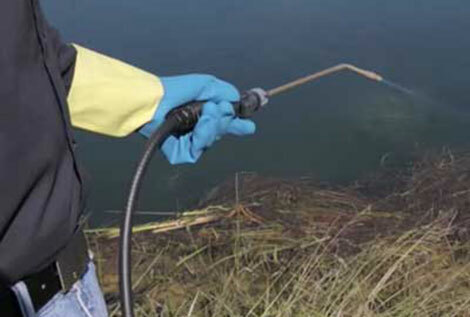 Over the years, each time you applied chemicals; weeds and algae were killed off and left to rot on the pond's bottom. This is equivalent to adding fertilizer to your pond. When weeds and algae die, they immediately start to biodegrade. 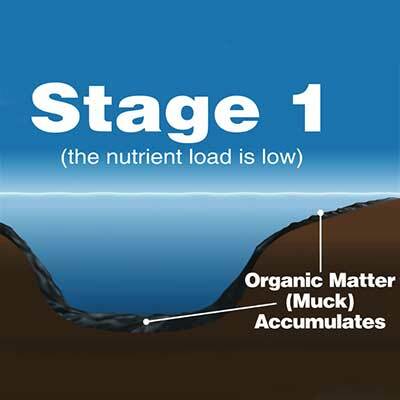 During this process, the dead organic matter is converted into rich organic muck. Although this would be great for a garden, it has a very negative effect on a pond. The nutrients found in this muck greatly contribute to future weed and algae problems. 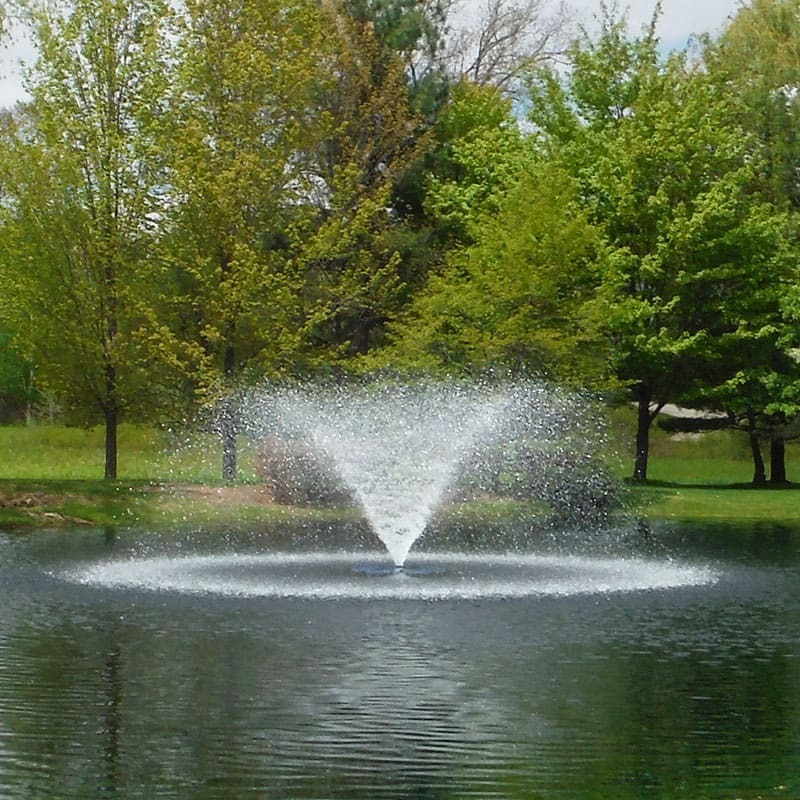 By aerating your pond from the bottom up, using Airmax® Aeration Systems, you'll circulate incredible amounts of water, drastically increasing the dissolved oxygen levels in your water column, which in turn will allow for increased levels of beneficial bacteria to accumulate in your pond. Naturally occurring beneficial bacteria begin to colonize in most natural ponds when water temperatures reach approximately 50°F. During early stages of a pond's life cycle this may be enough to maintain a healthy ecosystem although as a pond gets older, especially when chemical applications are needed, it is necessary to start thinking proactively to subsidize Mother Nature's efforts. The PROACTIVE Care solution? 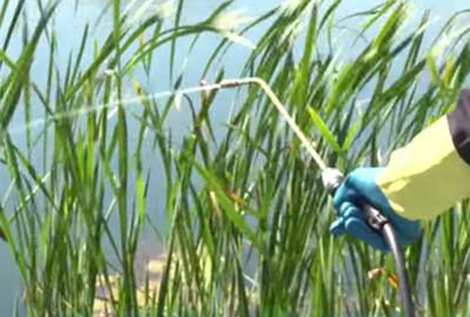 Add PondClear™ and MuckAway™ natural bacteria to radically increase your bacteria count. The billions of PondClear specialized microbes will compete for the nutrients in your water column while the MuckAway sinking pellets send billions of microbes to the bottom of your pond, working quickly to eliminate up to 5" of muck each season, as well as prevent future build-up. 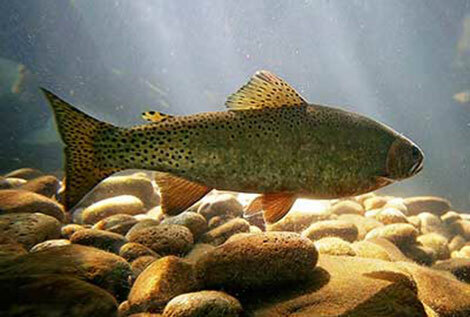 Excessive sunlight can have a negative effect on water quality. Adding one of the Pond Dyes will beautify your pond and provide a natural shade while improving water quality. By exercising PROACTIVE Care (Sub-surface Aeration, Bacteria Augmentation and Pond Shading), you'll be aggressively addressing the root of the problem – excess nutrients and sunlight. Give PROACTIVE Care a try… you have nothing to lose – other than nutrients and muck! We GUARANTEE you will be happier with the results!